As much we hate having a boss breathing down our necks all the time, the simple fact is that it does mean that you do your work. When you quit your day job and start working from home for yourself, you’re no longer answerable to a boss. You’re the boss, which means you have to breathe down your own neck to make sure you get things done. This is easier said than done. 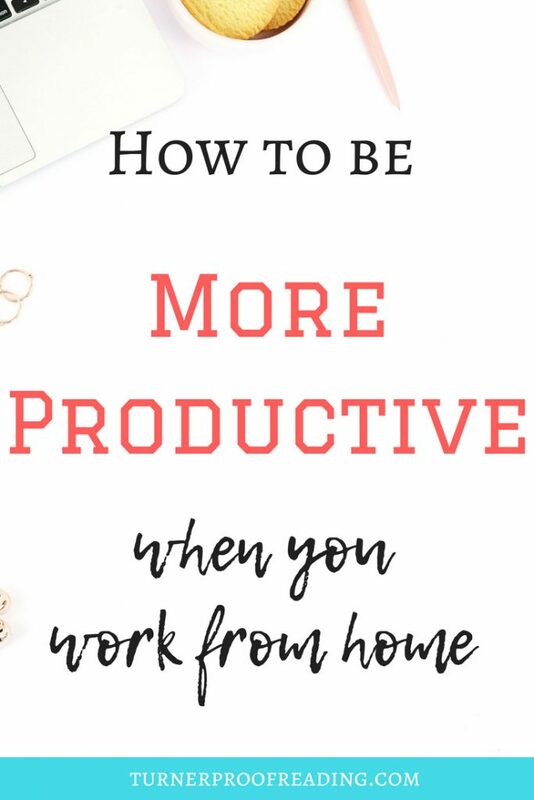 How to be more productive when you work from home is a very common struggle that newbie (and not so newbie) work-from-homers face. Going from an office and team environment to working on your own leads to a change in the structure of your day. You don’t have to attend a 9 a.m. meeting every Monday morning or go to lunch at 1 p.m. every day anymore. 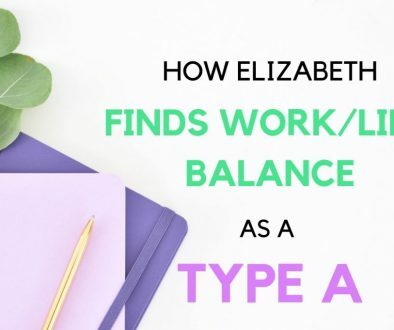 This freedom is likely one of the main reasons you wanted to work from home, but you may also struggle with how to structure your day. Your productivity might suffer as a result. These tips will help you become more productive when your work from home. You should try to structure your day around the hours that you’re most productive. Ensuring that you do your most difficult tasks during your peak productivity hours will mean that you get the most out of your precious time. Even if you identify that you’re most productive late in the evening, you should still avoid sleeping in. While I would advise getting eight hours of sleep each night so that you are rested and replenished, getting up reasonably early will give you more hours in the day to get what you need to get done. If you’re not productive in the mornings, you can use this time to carry out routine tasks and save the more difficult tasks until a time where you are more productive. 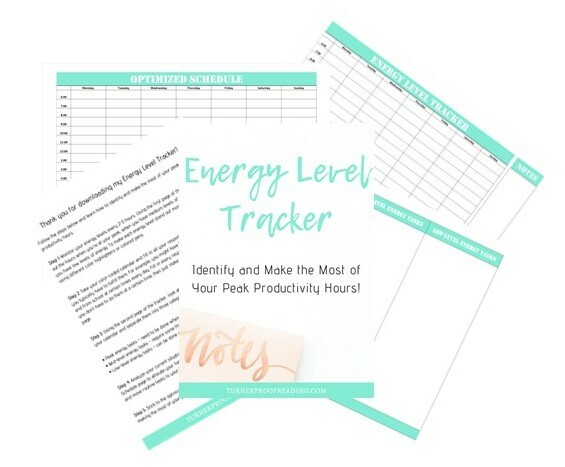 Download my Energy Level Tracker and learn how to identify and make the most of your peak productivity hours. Many of us find it easier to work in a clean, calm environment. Here are some tips for optimizing your workspace so you actually want to spend time working there! Organize/declutter your workspace. Some say a messy desk is a sign of a brilliant mind. I don’t know what that says about me then because I prefer to have a clean desk. I think that if your workspace is messy and cluttered, you will struggle to concentrate. Take an hour or two to go through everything on your desk and in your office. Consider if you still need everything or could some things be thrown away. Make sure that everything has a home and is easily accessible for when you need it. Make sure your space is well-lit. Protect your eyesight by making sure that your workspace is well-lit. Even better if the room has natural light. Working in a dark room might make you feel sleepy. If the lights in the room are too bright, you might find you start to suffer from headaches. Make sure you space is quiet. Some people thrive in noisy environments, but I struggle to concentrate if there is a lot of noise around me. I currently live in downtown Toronto where there is a skyscraper being built on every corner! I’m smack in the middle of two construction sites, and sometimes the noise can get a bit much. If you’re dealing with similar circumstances, then I recommend wearing earplugs (these are the best ones, in my opinion!) or investing in noise-canceling headphones to drown out the noise so you can concentrate. Make sure you have no interruptions. Talk to your family/housemates and let them know that they shouldn’t disturb you when you’re working unless it’s an emergency. After every interruption, it takes time to find your place again. You might end up repeating tasks you already did or forgetting to do tasks that you were just about to do when they interrupted you. Get a change of scenery. If the construction noise outside my condo becomes too much or I feel like I have cabin fever, I go to my local library and work from there for a few hours. This makes me feel energized to work again. A great way to get more structure in your day is to write down your top three daily goals and stick to them. Having goals will help you stay motivated to keep working on something even when you don’t feel like it and help you stay focused on what you want to achieve and stop you from getting distracted. Writing them down will help you stay accountable. Align your top three daily goals to your weekly, monthly, and yearly goals to make sure that you stay on track to meet your big goals. 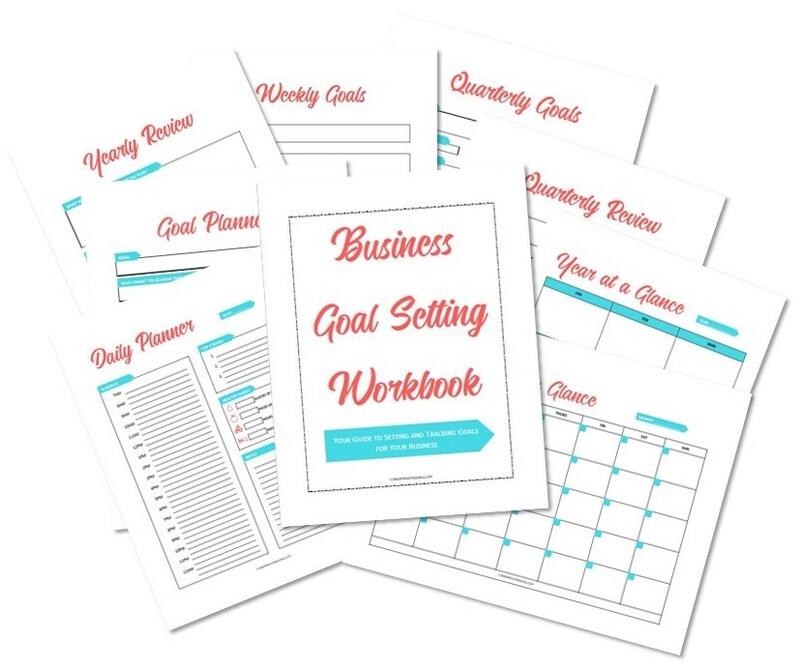 If you’re struggling to set goals for your business, check out this post on how to set SMART goals for your freelance business. Create your to-do list every night with your top three goals for the next day. This ensures that you start the day the right way, knowing exactly what you need to accomplish. I find that writing them down on paper makes me feel a lot more accountable and makes me more likely to complete them. If I make a note on my computer, I can just move it to the next week like nothing happened. It doesn’t have the same guilt factor. Most days you’ll likely have a lot more than three things you need to accomplish, but if you do those three things, you will know that you’re a step closer to achieving your big goals. Ah, on to my biggest vice. I’ve realized lately that I have an addiction to my phone. I can’t go five minutes without looking at it! One new thing I’ve been trying is doing the Pomodoro technique for 25 minutes then checking notifications on my phone for 5 minutes. This means I get my fix a couple of times an hour, but it stops me from checking my phone constantly. I’m working on cutting down even more than this, but I think it’s a good start. Why don’t you give it a try too? The Pomodoro technique involves setting a timer for 25 minutes and focusing on a specific task for this entire time. When the time is up, you take a 5-minute break and then repeat the process. It’s important to take regular breaks so that you don’t burn out. When you work in an office, you tend to take more regular breaks. You go for a coffee break with your colleagues or have a 5-minute chat with a colleague. When you work from home on your own, it can be easy to forget to take a break. Also, you can sometimes feel like you’re always working. If I get an email from a client or potential client late at night, I often feel like I have to write back straight away. This isn’t really a healthy attitude toward work. It’s probably not really necessary as most people understand that evenings are for winding down and spending time with family. Most of the time it’s fine to wait until the next morning to reply. Take regular breaks during the day to get a glass of water or a snack, stretch your legs, or even give your mind a rest by watching a show on TV. 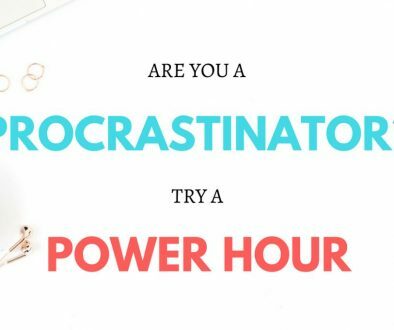 Just try not to get sucked into a Netflix binge! A healthy work-life balance is the key to avoiding burn out. 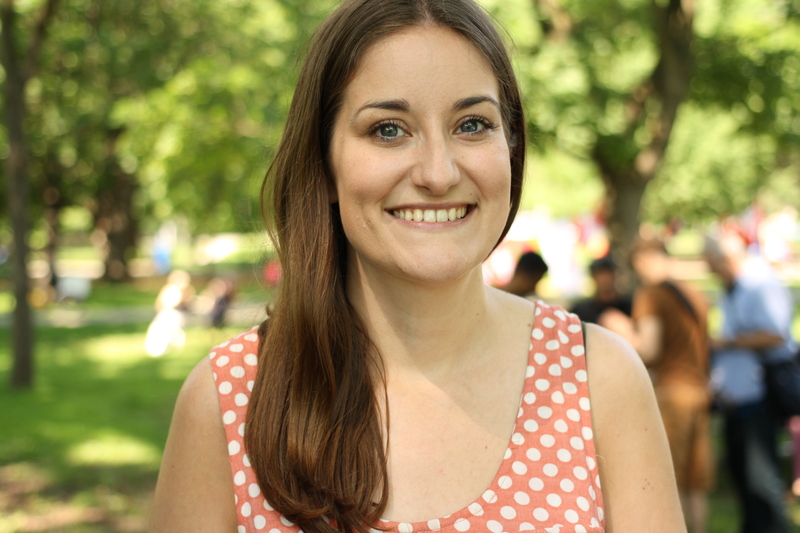 What if there’s too much life in your work-life balance? Check out this post for some tips on how to prioritize your work. 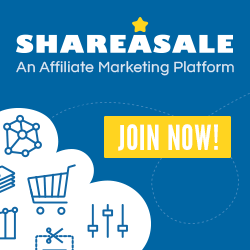 Want to work from home, but you’re not sure where to start? 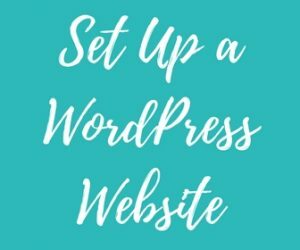 Or maybe you already work from home, but you’re looking for tips on how to find clients, create work routines that suit your life, or work more productively? 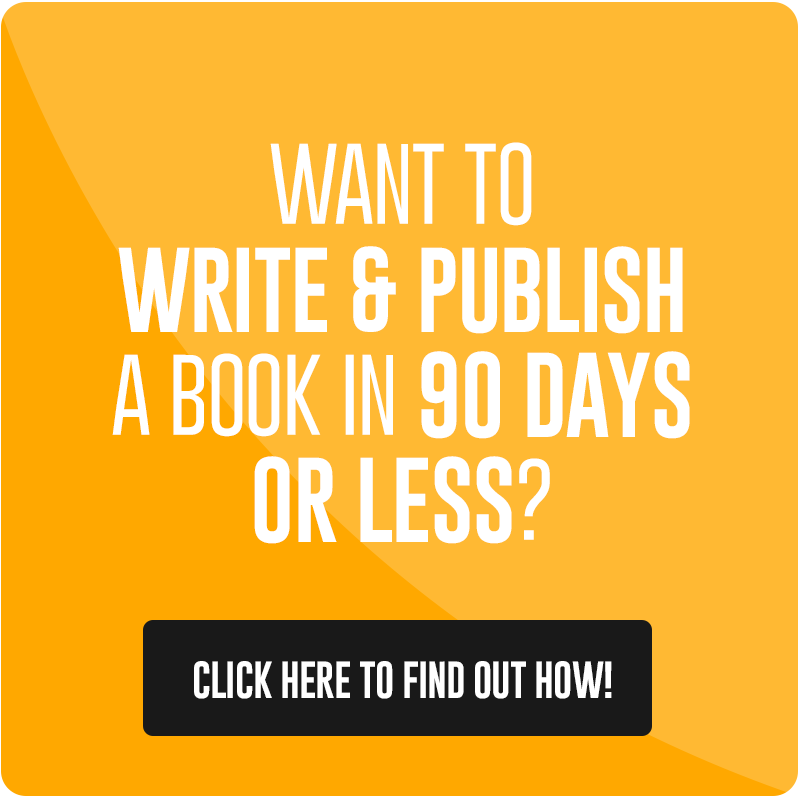 Check out the Work at Home Super Bundle to get all the resources you need to make working from home work for you! Whoever said working from home is easy wasn’t quite being truthful. Being productive when you work from home requires motivation and focus. 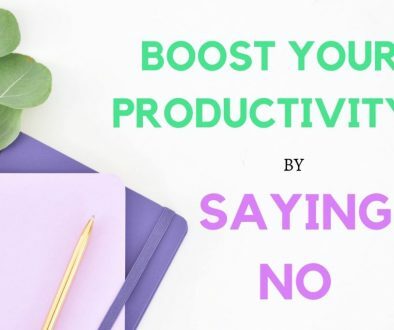 Making sure you work during your peak productivity hours, create an efficient workspace, write down your goals, reduce distractions, and have a good work-life balance will ensure that you use your time in the most productive way possible. What do you do to stay productive when you work from home? Feel free to share in the comments below! 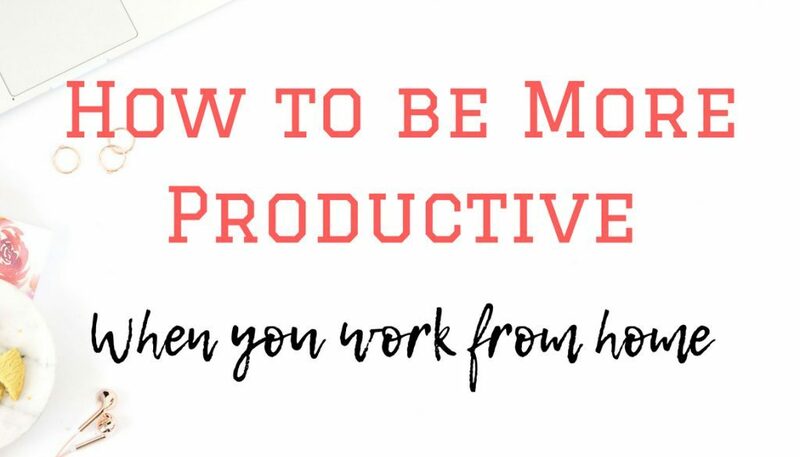 Learn how to identify and make the most of your peak productivity hours! Success! Now check your email to confirm your subscription to my email newsletter and download the Energy Level Tracker. I also live by the app Todoist. It’s just a todo list that lets me set due dates, categories, and – most importantly – priorities. Each day, I know exactly what I need to work on first, and if I think of something new, I just insert it into my list where appropriate and don’t give it another thought (until it comes up in my queue :)). Great tips, Brianna! Thank you! I like to try different things with the Pomodoro technique as well. When I’m editing, I set a timer for 45 minutes and then take a 5-minute break. I usually go back to the same task again. Next time, I might try your technique and switch to another task!